SAN BERNARDINO, Calif. (KABC) -- An Amber Alert issued for a 16-year-old boy was canceled Friday afternoon when the car he was in and a female carjacking suspect were found in San Bernardino. Authorities said the teenager, identified as Eric Coleman, has not been found, but detectives do not believe he was abducted or the victim of a crime. Los Angeles police arrested the female suspect, who they said carjacked a woman Thursday afternoon near 47th and Figueroa streets. Authorities said the teenager was in the backseat of the car at the time of the carjacking. 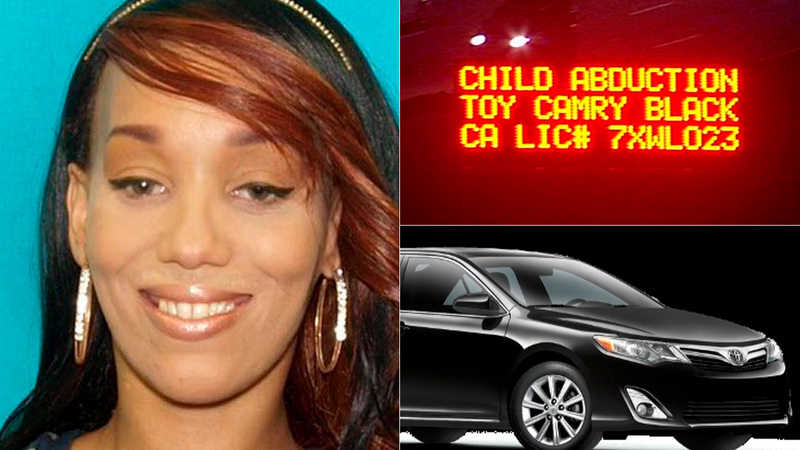 An Amber Alert was issued Thursday night with authorities saying the suspect, 31-year-old Kandice Johnson, was armed and dangerous because she used a semiautomatic weapon to carjack the woman. The teen's stepmother told investigators that Johnson was an acquaintance that she knows from her neighborhood.